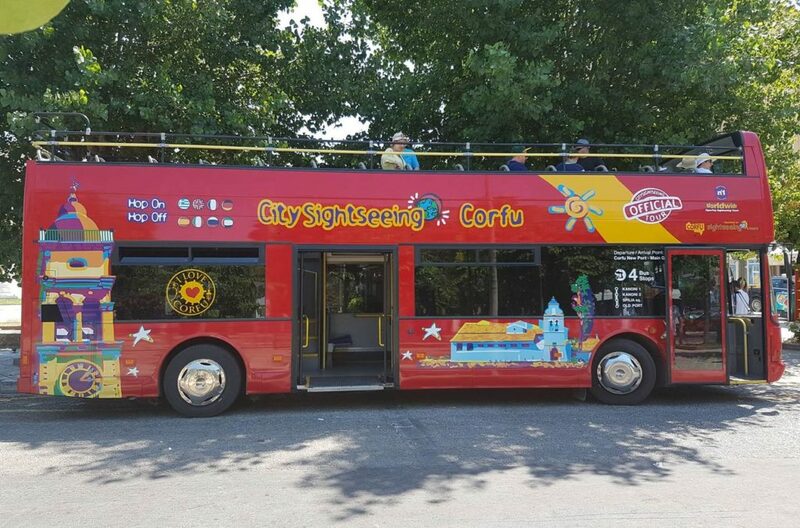 The Corfu Sightseeing Bus & Tours offers you the perfect way to see the sights to feel the rhythm of the life and the culture of Corfu city. 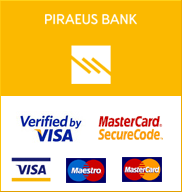 See and hear Corfu’s rich history, experience the famous sights and monuments with the help of a multi lingual commentary in 8 languages, as you pass by most of them from the top of our open double decker buses. Our daily valid ticket gives you the flexibility to explore the city sights at your leisure and at your own pace and our friendly staff is at your disposal to provide any relevant information. The location of Kanoni with the church of Panagia Vlacherna below and the Mouse Island (Pontikonissi) are the most famous and photographed spots of Corfu. On top of the hill in Kanoni, you can amazing view to the church of Vlacherna, the sea and the Mouse Island. According to legend,mouse Island was formed when the ship that had taken Odysseus back to Ithaki, was turned to stone by Poseidon, god of the sea, angry at being defined by the Phaeceans. The Achillion Palace is located in Gastouri Village which was built in 1889 by the Empress Elizabeth of Austria (known as Sissy). This large building, in neoclassical style, has three floors adorned with many statues and paintings. The vast gardens surrounding the building run down to the coast road and have a wonderful view of a large part of the island. They are decorated with so many statues, the most famous of which are the two bronze runners,the dying Achilles and the statue of Achilles Triumphant. After the assassination of Empress Elizabeth in 1898 in Geneva Kaiser Wilhelm II of Germany purchased the palace in 1907 and used it as a place for relaxation.